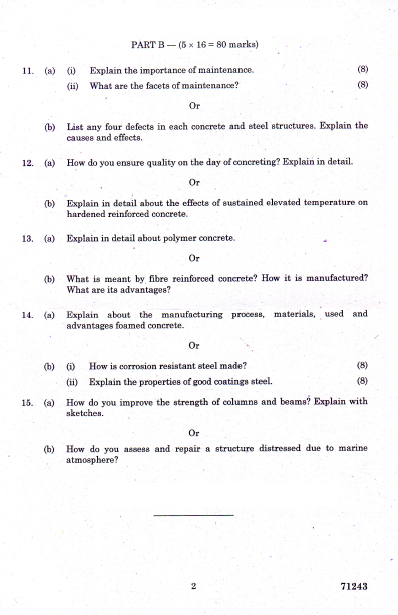 Are you searching for old question papers of AU Chennai CE2071 Repair and Rehabilitation of Structures ? 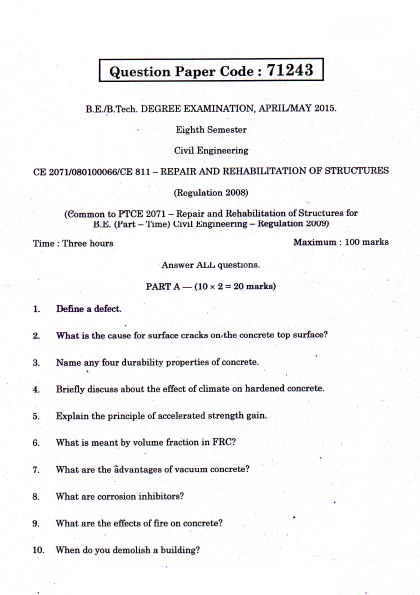 You can here download April May 2015 question paper of CE2071 Repair and Rehabilitation of Structures. Check out all other details provided below.